If your facility relies on some form of industrial water treatment, or if you are planning to install a new system, it makes sense to consider the problems that might affect your industrial water treatment system, as well as steps you can take to mitigate or prevent these issues. While industrial water treatment can be simply defined as a process for converting a liquid stream to a form more appropriate for a given use, it is actually a broad group of technologies, equipment, and processes. 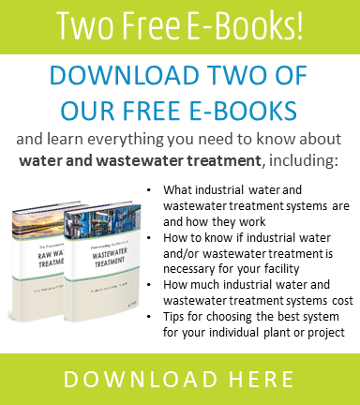 This article will offer a high-level overview of Common Industrial Water Treatment Issues and How to Fix Them, giving you a helpful jumping off point for investigating the issues most relevant to your facility. Variable turbidity levels. Seasonal fluctuations in the turbidity of raw water can result in contamination of process streams, failure to meet discharge compliance requirements, and system backups or downtime for sludge treatment equipment and clarifiers. To avoid these issues, consider raw water treatment system designs that will accommodate greater-than-expected turbidity levels, or consider implementing variable chemical feed controls for greater flexibility. Variable flow rates. Variations in flow rate can overwhelm a raw water treatment system, allowing contaminants to carry over into process streams, or foul filters and other equipment. One way to avoid problems associated with variable flow rates is to implement holding tanks and/or add variable controls to chemical feed systems. Changing feed chemistry. Seasonal changes in water chemistry can result in contaminant concentrations that overwhelm a raw water treatment system, leading to poor process water quality, and fouling or damage to downstream equipment. To avoid these issues, consider implementing physical-chemical technologies that can be adjusted to efficiently remove contaminants at various concentrations. Changing quality requirements. The technologies, processes, and regulatory guidelines at your plant will almost certainly change over time, which can impact the level of water quality needed to support production at your facility. Periodic assessment of water quality needs can help to protect equipment, and ensure that your effluent continues to meet discharge regulations, among other benefits. This can mean the need to install ancillary equipment to augment your existing raw water treatment system, so it’s always a good idea to consider scalability if you are implementing a new system. Secondary waste. Raw water treatment plants produce waste that will need to be disposed of in some way—whether by discharge to the environment, a municipal facility, or otherwise. Costs associated with compliance and disposal of waste can add up quickly, so it is important to consider these when designing a raw water treatment system. To learn more, please see our article Five Common Problems with Raw Water Treatment and How to Avoid Them. Sludge buildup. Not to be confused with scale, boiler sludge is a comparatively softer buildup of solids or oil in low flow areas of the boiler system. Sludge buildup can impede heat exchange, resulting higher energy costs, and can damage piping, or cause unsafe pressure conditions. It may be possible to blow out existing sludge, but the best solution is prevention through either filtration, or application of chemical sludge conditioners. Scale buildup. Scale is an extremely hard deposit consisting of silica, iron, calcium, magnesium, or aluminum. In general, the level of water purity needed will depend upon the pressure that the boiler operates at. For low pressure boilers, simple sodium softeners will likely be sufficient, but for high pressure boilers, reverse osmosis, electrodeionization, or deionization may be required to achieve adequate water purity. Corrosion. Corrosion is breakdown of metal elements in a boiler unit, which can lead to cracks and eventual system failure. Corrosion is usually caused by dissolved oxygen and carbon dioxide in water, and is exacerbated by heat and low pH levels. Common corrosion prevention methods include application of oxygen scavengers and deaerators, as well as managing overall water chemistry and pH. Foaming and priming. As boiler feed water is heated to form steam, dissolved solids can cause the water to foam or bubble up. As the water foams, the impurities can be carried away with the steam in a process known as priming, which can cause deposits to form on various parts of the boiler unit. Effective methods for preventing foaming and priming include removing dissolved solids, and controlling alkalinity. To learn more, see our article Common Boiler Feed Water Treatment Issues and How to Avoid Them. Excess blowdown. As water moves through a cooling tower, dissolved solids can get left behind, forming deposits that can cause scaling or corrosion. Buildup is typically flushed out through routine blowdown cycles, however, excess solids will demand more blowdown or makeup water. Common solutions include filtration of side-stream or feed water, and treatment of makeup water feeds. Low cycle of concentration. The cycle of concentration is a ratio that indicates the loss of makeup water and blowdown over the cooling cycle. A low cycle of concentration often means greater cost due to greater water consumption and chemical usage. Common strategies for increasing cycles of concentration include removal or neutralization of various contaminants, such as hardness, iron, silica, and microbials, as well as controlling pH and alkalinity to limit scaling. Secondary waste disposal. Any treatment system will result in waste that will need to be discharged or disposed of in compliance with regulatory requirements. When it comes to designing a new cooling tower water treatment system, or upgrading an old one, it pays to carefully review any permits or discharge requirements to ensure that there are no surprise costs in dealing with waste. Water scarcity. Regulatory bodies are increasingly placing stringent limits on the amount of water that facilities can draw and/or discharge, making it increasingly cost-effective for facilities to invest in treatment strategies to make cooling towers function more efficiently. These include ion exchange and reverse osmosis for treatment of blowdown water, as well as demineralization. For areas requiring zero liquid discharge (ZLD), a more robust treatment strategy may be needed. To learn more please see our article Common Cooling Tower Water Treatment Problems and How to Solve Them. High biochemical oxygen demand (BOD). BOD limitations are often included in regulatory requirements to protect waterways from harm due to oxygen depletion. BOD levels are typically kept in check by aerating the waste stream to encourage biological oxidation, which produces solids that may be removed through filtration or clarification. High total suspended or dissolved solids. Discharge regulations typically include some limitation for maximum total suspended solids (TSS) or total dissolved solids (TDS) permissible in effluent streams. Typical solutions include clarification and sand or carbon filtration for TSS reduction. TDS reduction is somewhat more complicated, usually requiring chemical treatment, demineralization, evaporation, or a combination of these. High nitrate or phosphate levels. Nitrates and phosphates can enter water through human and food waste, detergents, and pesticides. They have extremely detrimental effects on waterways, and their levels are therefore strictly regulated in effluent streams. Removal of nitrates is typically accomplished through IX, RO, or biological treatment, while phosphate levels are typically controlled through clarification or biological treatment. Oil or grease in waste stream. In addition to causing environmental damage, oils and greases can clog sewer and drainage pipes. In many cases, regulations will typically stipulate some limit for oils and greases in your effluent. Oil and grease removal is typically achieved through dissolved air flotation (DAF), ultrafiltration, or activated carbon filtration. Discharge volume is too high. In many regions, connection fees are based on water usage and discharge volumes. If your facility produces large volumes of effluent or if your face costly discharge fees, it may make sense to invest in technologies that allow you to treat your effluent for reuse, or even zero liquid discharge (ZLD). Changing compliance regulations. Effluent regulations can change over time, which can mean your facility may need to periodically update its wastewater treatment system in order to comply with new standards. Taking proactive steps to stay on top of changing discharge regulations can help to avoid costly consequences, such as permit revocation or fines and fees. 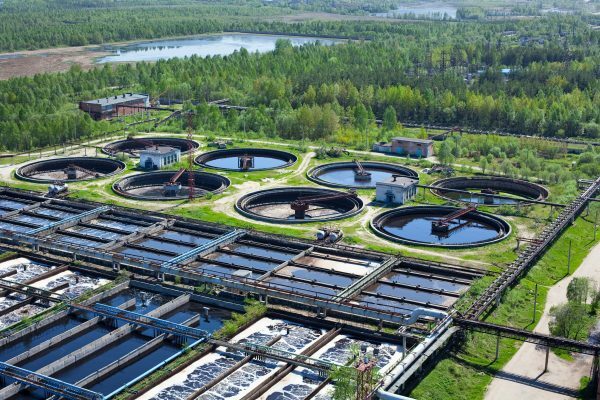 To learn more about issues impacting your wastewater treatment system, see our article Seven Ways Your Facility Isn’t Meeting Effluent Regulations and How to Solve Them. Now that you understand some of the common problems surrounding industrial water treatment systems and how to resolve them, be sure to read more articles on our blog that delve into these systems a bit deeper. Some of the topics we discuss include how these systems work, much they cost, and how to choose the best system for your facility, among others.